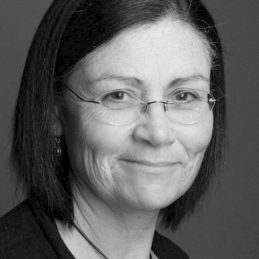 Monica Attard was one of the ABC’s most senior journalists after a 28-year career with the national broadcaster. She served the corporation overseas and presented some of its most high profile current affairs programs. In 1990, she was posted to Moscow as Soviet Communism was collapsing. She witnessed and reported on the coup against Soviet leader Mikhail Gorbachev, the collapse of Soviet communism and the rise of Boris Yeltsin’s neocapitalism. During her posting to the region, she covered countless ethnic wars within the borders of the old Soviet Union, including the first Chechen war. Monica was awarded an Order of Australia for her services to journalism in 1990. In 1991 she scooped the pool with 3 Walkley Awards for her work in Russia, including the Gold Walkley for excellence in journalism. On her return to Australia in 1994, Monica hosted ABC Radio’s PM for four years and then The World Today. In 2001 she created the award-winning radio current affairs show Sunday Profile which quickly established itself as a natural meeting place for newsmakers. She then hosted Media Watch on ABC TV for 2 years before becoming Managing Editor of her brainchild, The Global Mail. Monica is now working with CNN International, based in Sydney.